You are currently viewing all posts tagged with ecuador. 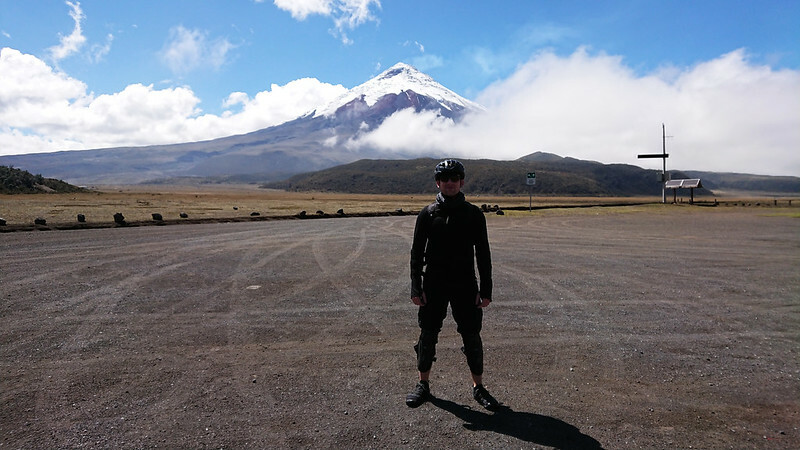 Last month I mountain biked Cotopaxi. I mounted the saddle at 15,000 feet. Thin air for pushing pedals – everything feels like uphill, until it is, then it feels like something worse – but I like to think it might have prepared me somewhat for the oxygen deprivation of my recent respirator trials. Integrating some sort of hypoxic training into a PT regime may be worth considering. This post was published on 2018-11-15 . It was tagged with micro, ecuador, bicycle, physical training, air.